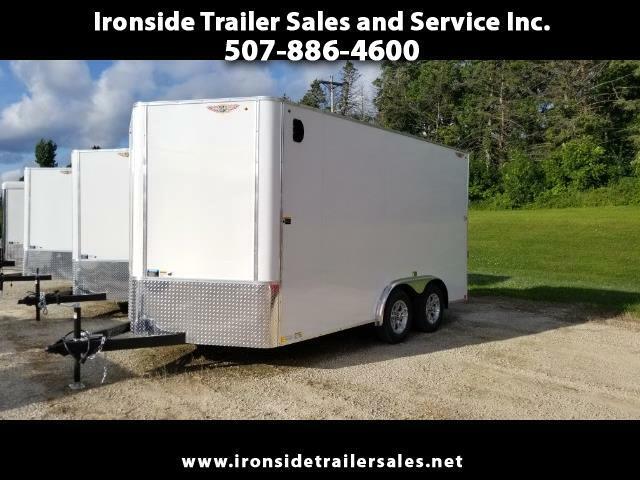 Used 2018 H&H Cargo Tandem for Sale in Harmony MN 55939 Ironside Trailer Sales and Service Inc.
2018 H&H 8x14 tandom Axle trailer. It has a V-nose and 7k hauling capacity. Ordered with extra tall side walls (84") and a 79" tall rear door. Perfect for hauling a UTV. Also has upgraded exterior walls and aluminum rims.